225g jar all the way from Western Australia. ‘A Bit On The Side’ is the cheeky brand, created by the gang at the Denmark Toffee Factory. 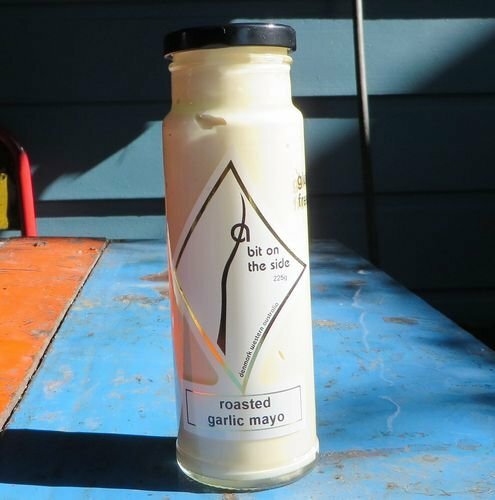 Delicious traditional aoli style mayo, perfect with chicken, seafood – anything really.